Collingwood is a picturesque town on the Southern shore of Georgian Bay. Rich in Canadian History, downtown Collingwood became the first historic designated downtown in all of Canada. 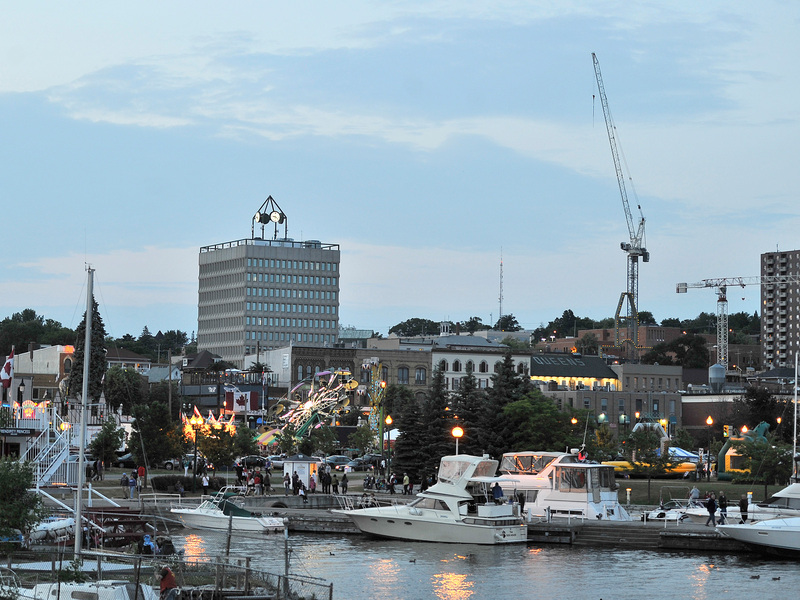 From the downtown heritage district boasting eye-catching architecture, to the now silent docks of one of Canada’s major late 19th century Shipyards, Collingwood offers the luxury of a small town with amenities found in larger cities. This steadily growing community at the foot of Blue Mountain is one of the most attractive 4 season destinations in Ontario. As with my own, its’ attractive and warm atmosphere has captured the hearts of many, most notable young families, and retirees. This luxurious waterfront community claims beautiful sunset views. You can ride, walk and hike the Bruce and Georgian Trails, indulge in the local theatre and art studios or tee off at a world-class golf course. For relaxing in the sun we are just a stones throw from Wasaga Beach, one of the longest freshwater beaches and designated Blue Flag. All year round you can experience all that Blue Mountain has to offer outdoors. Skiing, snowmobiling, snowshoeing, gondola rides, mini putt, eco tours as well as various entertainment and shopping located in the Blue Mountain Village. The Town Of Blue Mountains was formed in 1998 by the integration of the former Town of Thornbury and the Township of Collingwood. The Town is home to Ontario’s number one Mountain Resort, Intrawest Village and Blue Mountain Resorts. Offering more than just ski resorts, the charming downtown consists of restaurants and unique shops surrounded by a blend of villages, hamlets and pristine beaches. Framed in apple orchards you are offered a mix of, century old farmhouses, upscale subdivisions, exclusive golf course communities and condominiums. Meaford is located 30 minutes west of Collingwood. With rolling hills and and natural countryside, Meaford won an award by the National Communities in Bloom Competition as the “Prettiest Town in Canada”. As one quarter of Ontario’s total apple harvest it is only fitting that it holds an annual Apple Harvest and Craft Show. The beautiful orchards and brilliant harbor are a must-see. Enjoy the year round arts & cultural center, Meaford Hall and breath taking views from various lookouts, conservation areas, parks and trails. What more could you ask for in a neighbourhood? Wasaga Beach a popular tourist destination, was named the “fastest growing community in the 2001 census. Wasaga Beach offers a variety neighborhoods, beach front properties, prestigious residential estates, newer home and golf course subdivisions. The commercial sector has been quickly developing offering a variety of services and amenities. 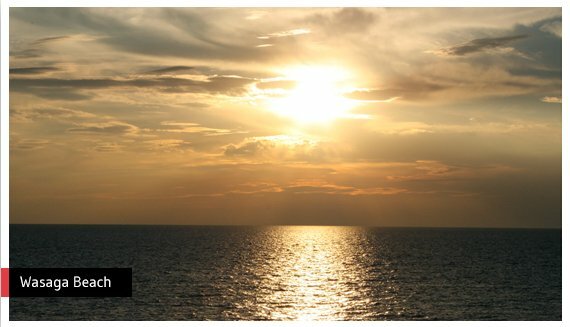 As a resident you have the privilege of having 14km of white sandy beach with a unique view of the mountains across the bay at your leisure. Wasaga Beach Provincial Park is a great place to enjoy family picnics and water crafts, or one can take one of the many trails for cycling, hiking, cross country skiing and snowmobiling. A great escape from the city where before long people know you by name. 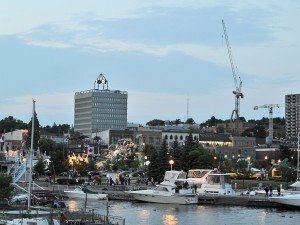 Barrie is a beautiful city framed in an abundance of parkland totalling over 90 parks in excess of 300ha, some of which line stunning Kempenfelt Bay. 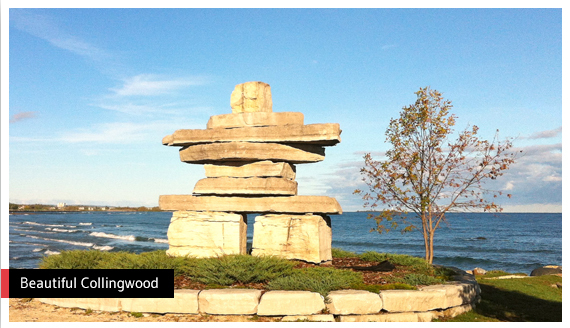 Only 90 minutes north of Toronto, Barrie sits in the center of Simcoe County. There are many opportunities to enjoy nature, biking & walking trails, swimable beaches, skiing, arts & crafts festivals, scenic cruises around the bay and Casino Rama less than a half hour away. Real Estate Investment Network coined Barrie as one of the top places to invest in the Province of Ontario. Further, Canadian Real Estate Magazine points out that Barrie has experienced significant growth with the re-introduction of the Go Train service and efforts currently being made to develop a hip downtown attracting Generation Y. Active living at its finest… great parks, recreation, entertainment, some of the best schools for our kids, economic growth and excellent transportation make Barrie the perfect location! 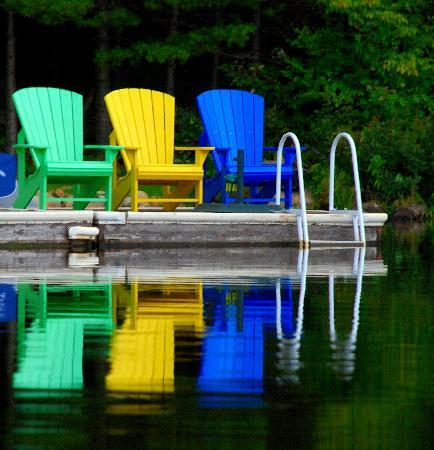 Located in the heart of Ontario’s cottage country, it doesn’t get any better than this! Wether you are looking for a great family retreat, retire or simply live in a place that offers pristine views all year round, Muskoka has what you are looking for. Muskoka is made up of the Townships of Bracebridge, Gravenhurst, Hunstville, Georgian Bay, Lake of Bays and the Muskoka Lakes . The “Big Three” lakes are Muskoka, Rosseau and Joseph. Muskoka also houses Algonquin Park, Ontario’s oldest Provincial Park. Only 2 hours north of Toronto, Muskoka is a must see four season destination. Explore local arts cultural and heritage experiences. Not to mention local brew, boat & waterfall tours, skiing, golf, fishing, canoeing, top restaurants and much more. As National Geographic’s top 20 places to see, Muskoka is extraordinary. The granite landscape and fall colours offer you views like never seen before. There are endless Real estate options throughout the District Municipality Of Muskoka that will allow you to truly Live, Work & Play!